Then I added the sides and the ebony trim and planed them with my new Low Angle block plane. After planing I spent about two hours with card scrapers. I first used a 0.8mm scraper then went to a 0.3mm scraper. I was hoping that I could stop with the scrapers but there were scraping artifacts I couldn’t get rid of – even after rounding the edges of my scrapers a bit. So at that point I decided to sand. I didn’t want to, thinking that the Ebony dust would contaminate the maple. It didn’t at all but I kept the sanding surface clean as I went forward and didn’t grind sanding dust into the piece as is often done. From there on out I started at 150 grit with a $20 Black and Decker orbital sander and worked up to 800 grit. After the 800 I tried some 1500 grit (5 micron) I had but it smeared the wood oils emerging from the wood (the actual source of the sheen) so I backed off to the 800 grit. 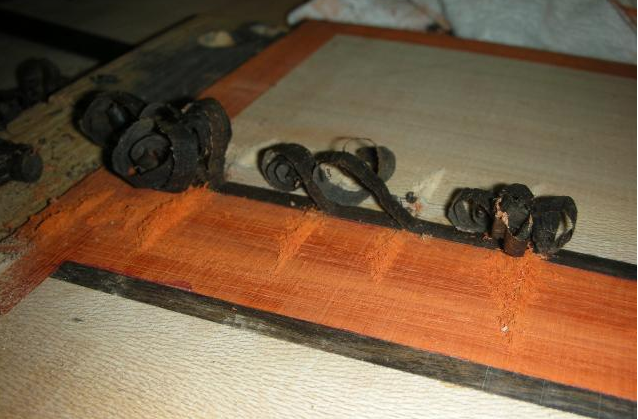 The secret was the really good Klingspore hook and loop sandpaper (in my opinion – but I’ve achieved similar sheens by hand sanding through 600 grit). I clean everything off between grits – vac everything including tools, new dust rags, and blow off the surface with compressed air. 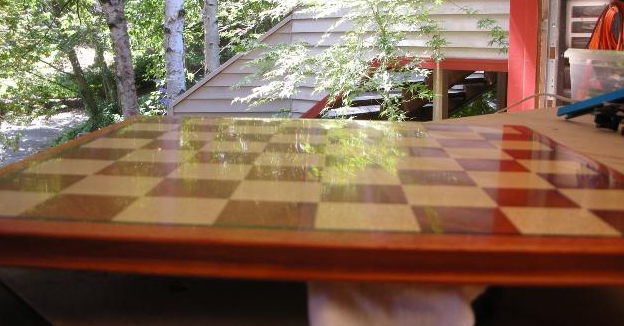 Check out the sanding job on the chess board. I’ve seen a planing job make a shine like this but not a sander. 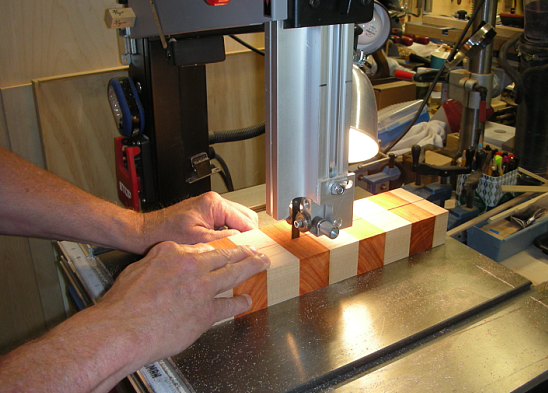 The board is made of paduk and maple. 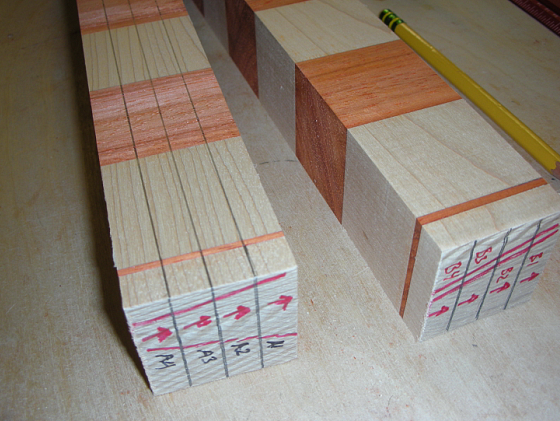 You should note that the top picture is a freshly sanded surface – just bare wood with no finish applied. I think I sanded it a bit more (800 grit) after that picture.